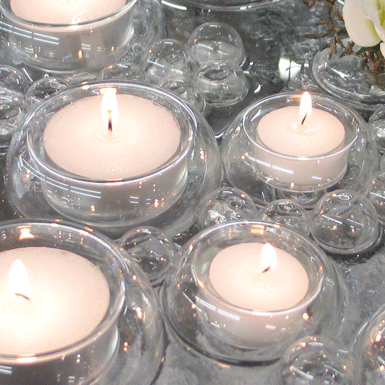 The tea light in a glass holder floats on the water. Pretty wonderful in large bowls in combination with the Floating Flowers (Art. 855.1) and the Bubbles (Art. 859, 859.1 and 859.2).